Unilever CEO Paul Polman defines a friendlier corporate paradigm. 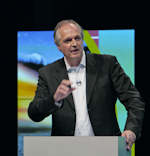 Paul Polman assumed the role of CEO at Unilever in January 2009, prior to which he was executive director. Before joining Unilever, he held senior roles at Procter & Gamble and Nestlé. He is a member of the UN Global Impact Board, Consumer Goods Forum and the International Business Council of the World Economic Forum. 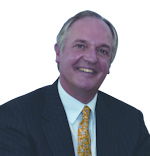 Defining a friendlier corporate paradigm, Unilever CEO Paul Polman.